Too early for birds is a theatre troupe that has been brewing/in the works for quite some time, at least since Ngartia Bryan, while still a secondary school student in Meru, saw a centre spread in one Nairobi paper all about young Kenyan poets and spoken word artists. Before that he’d been writing poetry and short stories of his own but never found Meru to be a thriving literary capital. But the media made him believe it must be happening in Nairobi. it didn’t take him long after that to join Kenyatta University’s Theatre and Film Department at the same time as he found his way into the vibrant realm of Nairobi’s spoken word performance scene. And not long after that, he met Abu Sense (AKA) who would eventually become his mate, first through spoken word artists like Wamathai, then as they both broke out of school and into digital marketing and finally, teaming up for a Storymoja performance called ‘Occupy Nairobi’ which was tragically truncated by the Westgate Massacre which took place just hours before they were to go on stage. 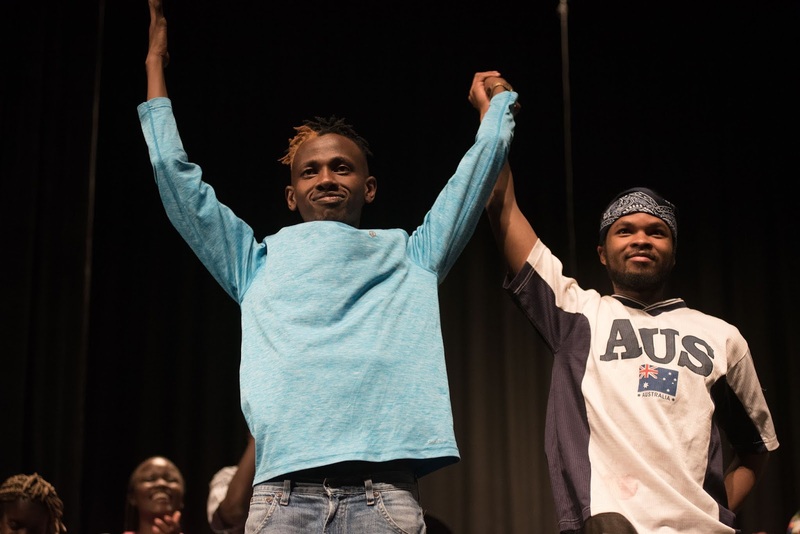 But the two got on so well that after Ngatia successfully staged his one man performance of ‘Losing Grip’ in November of 2015 for which he combined theatrical as well as spoken word elements in one show at Goethe Institute, both guys realized they had to devise an ‘exit plan’. That is, while they were both still earning their bread in digital marketing, the time was drawing near to take themselves seriously as full time writers and performers. ”We stayed on the job for another year but we were constantly spending our lunch hours brainstorming and strategizing on how soon we’d be out of there,” says Ngatia who like Abu had somehow been also been finding time for school. He had been in and almost out of KU while Abu had been at African Nazarene, USIU and 99 Flying School. But for both, their passion for spoken word poetry was deeper than formal schooling or marketing consumer goods like ‘Urban Bits’ online. What finally got them fired up was ironically not fiction or spoken word, but non-fiction and a blogger named Owaahh who wrote all about Kenyan history. Then when they got a half hour slot at a Kwani Open Mic night in October 2016, that fire translated into their scripting Ngarthia’s first ‘badass’ spoken word-story, ‘The Ageless Defiance of Muthoni Nyanjiru’. In it, Laura Ekumbo featured as the legendary (Mary) Muthoni Nyanjiru who challenged the men to go protest the incarceration of Harry Thuku in 1922. And Abu played the colonial guard who represented the British colonial regime. The show went so well, historical fiction became more than a passion. It became an obsession, so much so that they began writing script after script based on historical Kenyan figures, everyone from Pinto, Odinga and Wangari Maathai to Otenyo Nyanu Terere and James Opiyo. It finally became too much for them to bear. They had little choice but to quit their day jobs and throw everything they had into what became Too Early for Birds’ first edition in May 2017. 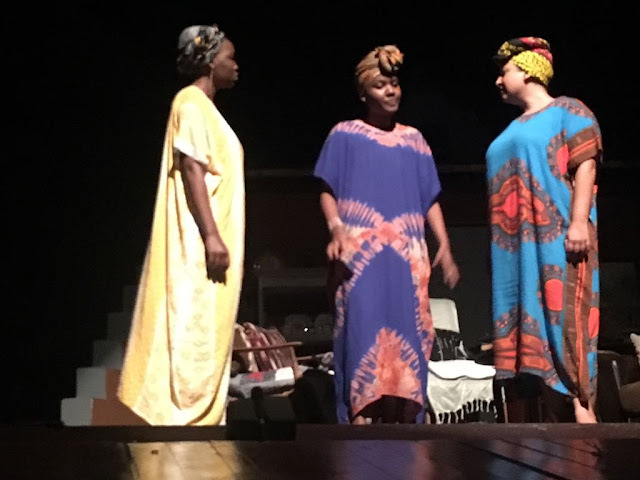 “We brought in many friends to assist, but who helped us finally get the show in shape was our director Wanjiku Mwawuganga,” recalls Ngartia who still marvels that they performed to a full house crowd at Kenya National Theatre. But what’s even more marvelous is that Too Early for Birds has virtually become a living legend in a little bit more than a year. Their second edition in July 2017, again directed by Wanjiku was a two-nighter and also packing the KNT full both nights. Then between their second and third edition, they also found time to perform at Storymoja and with Jalada in both Nairobi and Kampala. Their ‘badass’ third edition was staged early this year, only this time it was about the ‘badass’ violent crimes of the 1970s. Currently working on a musical, a TV series about Nairobi history, a podcast series and the next TEFB edition, called ‘Chasing Delights’, Ngartia was happy to get a call from Aleya Kassam who’d helped them edit that first edition. She asked if TEFB could produce an all-women ‘Brazen Edition’ that she wanted to script and stage about heroic Kenyan women. 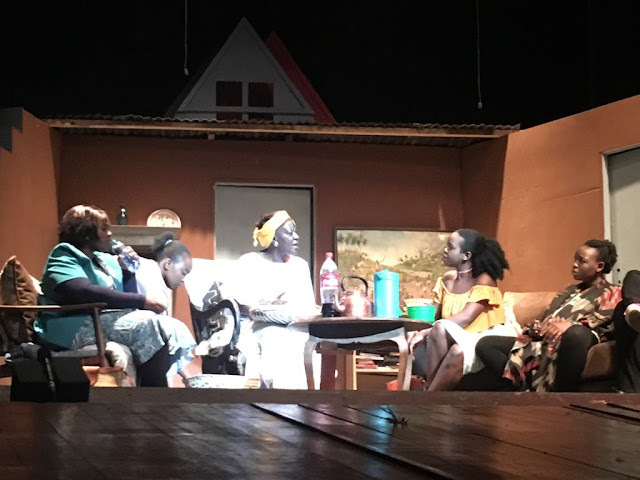 It actually happened last weekend at KNT, with five full-house performances and glowing reviews. Now TEFB and all of Ngartia and Abu’s other ambitious projects are being produced by their newest concept called ‘Story Zetu’.